Located in the Roseau Valley, St. Lucia Distillers is the only distillery on St. Lucia producing a wide variety of rums and beverages. 'St. Lucia Distillers' was formed when a joint venture was formed between the Dennery Factory Company and the Geest Distillery. Today the distillery is located on the old Geest distillery site. Molasses are imported from Guyana and the distillery uses natural yeast in the fermentation that lasts between 24-30 hours. 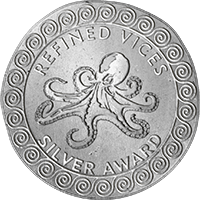 The resulting wine is distilled in either a Coffey or a batch still with the majority of rums produced being Single Blended rums or in other words a blend of the two distillates. All rums go through traditional Bourbon cask ageing and some are further aged in other type of casks that have previously held port wine for example. Pure Single Rums, that is 100% pot distilled rums, are becoming more popular as the appreciation shifts from the mainstream products to these bolder and bigger rums. In kind distillers have responded, and releases like these are starting to become more commonplace. 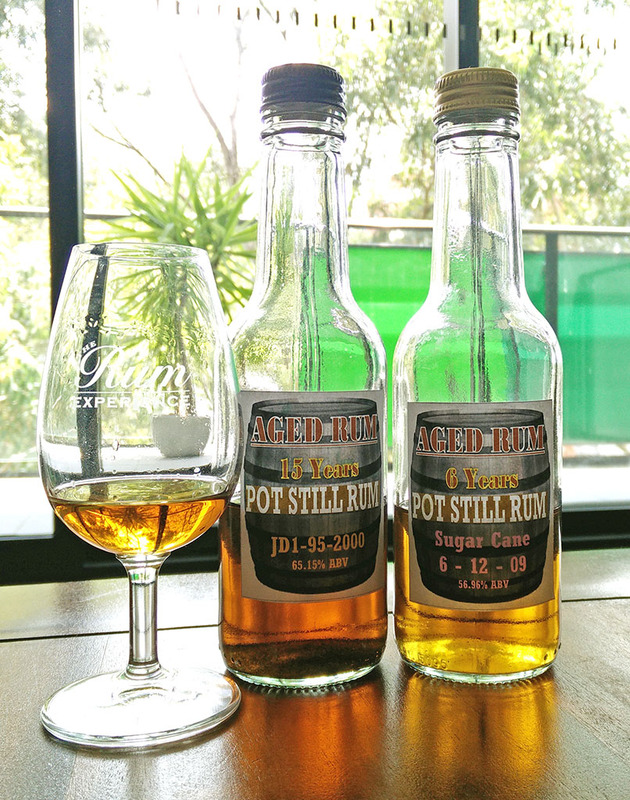 Below I've reviewed two Pure Single Rums from St. Lucia Distillers. Both rums are cask strength, free from added sugar and other additives. This 15 year old rum is distilled from molasses in the 660 litre John Dore double retort copper pot still to a big 65.15% alcohol by volume. The markings on the bottle indicate it is from cask 95 and was distilled in 2000. The rum will be released in a Cask Collection series. Brown with bright amber highlights and a green rim signifying long ageing in barrels.Very thin, almost invisible legs. A pleasant entry of sweet, creamy vanilla. Pungent and slightly prickly nose of marzipan, hints of coffee, black tea and ever so slight medicinal notes and band aids but not in an unpleasant way. Dry, estery (very slight, but not unpleasant nail polish), well balanced entry with lots and lots of very pleasing rancio notes that quickly build up on the tongue but it is not overly heavy. The alcohol and rancio produce what I can only describe as a "curdling" feeling on the tongue. Very warm, slightly burning finish with some bitterness and lots of floral notes. Continues with coffee and a slightly medicinal taste with marzipan and hints of brown sugar in the end. Afterwards brown sugar and now heavier notes of slightly smoky black tea and refreshing peppermint remain on the palate for a long time, perhaps also some lavender. The empty glass smells heavily of brown sugar, very small amounts of honey and leather. Overall a very well balanced product that is vaguely reminiscent of Pussers 15 YO. As it is I would say it will be an acquired taste, only for serious connoisseurs. Reminds me also of Samarolis 1975 Demerara rum. This rum is very special as it is the first distillation from sugar cane juice at St. Lucia Distillers. Five acres of sugar cane is grown at Roseau in St. Lucia and is crushed on site. 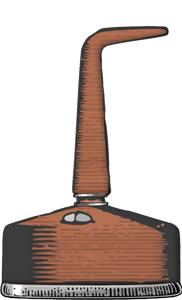 The same John Dore pot still that was used for the molasses rum was also used in the distillation of this rum in 2009. The rum is aged 6 years in ex-Bourbon barrels and is 56.96% ABV and comes from cask 12. Only 21 casks were ever made of this sugar cane juice rum and it will be used for blending. Amber with bright golden highlights and thin veins running down the side of the glass forming into small droplets. Fresh notes of sweet sugar cane, fruits, some bananas and nail polish and deep, rich notes of black tea. There are rather noticeable caramel notes and hints of alcohol and bourbon infused leather. The rum is a bit prickly on the nose and has a small metallic side note. Semi dry entry with equal amounts of sweetness. It is oaky, sweet with sugar cane, black tea and some small amounts of rancio notes too at the back of the palate, making it a very pleasant sensation indeed. Lots of vanilla and coffee in the finish. It is slightly dry, dusty and warming. Medium to long finish with tea and honey notes towards the end. Leaves you with pleasant, lingering coffee and bourbon notes. It is a well balanced rum with similar notes detectable throughout the nose, taste and finish. The only off note I can see is the that small bit of fruity nail polish but it does add some character to it so I won't hold it against it. It is a very similar note to what some high ester Jamaican rums have from Long Pond. This rum really grows on you the more I taste it. The empty glass smells pleasantly fruity with some leather.